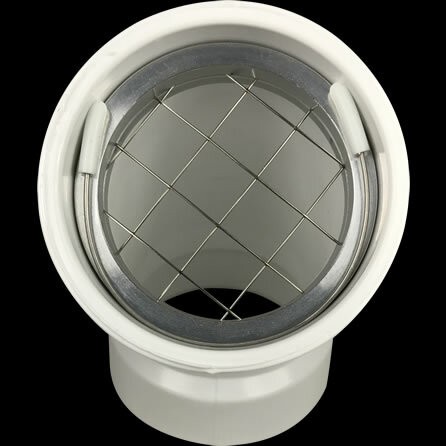 Our PVS-IRS2 PVC single vent screen kit includes an insect screen, a rodent screen and fasteners to secure them inside of a 2″ hub or coupling. This kit reflects a 5% discount from individually purchasing these vent screens. 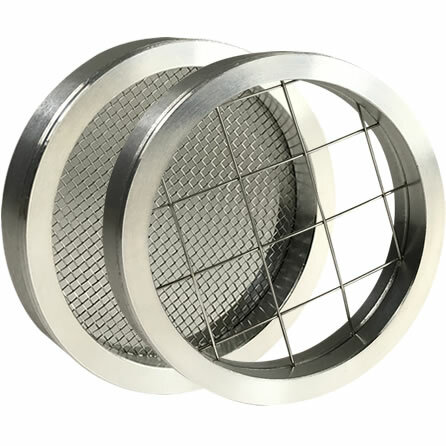 Fitment: Both vent screens included in the PVS-IRS2 kit are designed for installation inside 2″ PVC vent termination hubs and couplings that have an inside diameter of 2-3/8″. 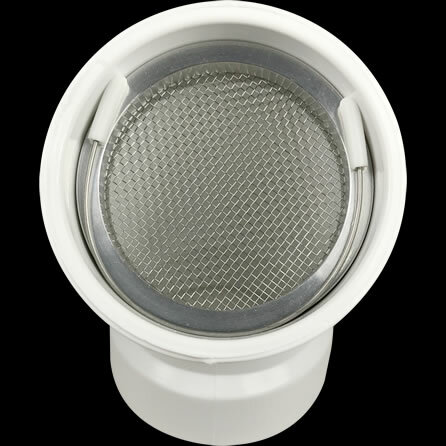 Our PVS-IRS2 insect and rodent screen kit is ideal for those with a single two inch high efficiency appliance vent. This kit contains one PVS-IS2 insect vent screen, one PVS-RS2 rodent vent screen and two internal wire clips to securely fasten each screen within a PVC hub. The PVS-IRS2 is a good choice for those who want seasonal protection from insects, while having the ability to easily switch over to the increased airflow capacity of a rodent screen. Such applications may include the use of our insect vent screen during the summer and rodent vent screen during winter. The PVS-IS2 is well suited for maximum protection from insects that have a habit or desire to nest inside homes. This screen restricts access to bees and wasps, while maintaining an acceptable level of airflow. The PVS-RS2 is perfect for all season use and maintains approximately 90% of the airflow that a 2″ PVC hub elbow allows. When insect activity is non-existent, such as during winter, the PVS-RS2 prevents squirrels, chipmunks, mice, moles and birds from entering homes. In fact, if an animal is wider than 1/2″, then they are out of luck. Unlike plastic vent screens, it is also much harder for an animal to bite its way through our stainless steel mesh screen. By purchasing both the PVS-IS2 and PVSRS2 in this kit, you save 5% and benefit from year round protection from insect and rodent damage to your high efficiency furnace, power vent hot water heater or boiler. If you have two intake and exhaust (discharge) vents to protect, please view our PVS-IRS2-2 kit for added savings. 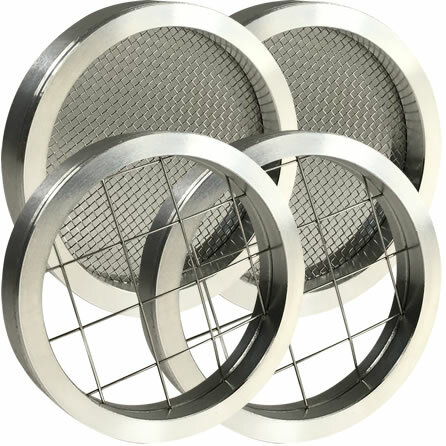 Please note PVS series vent screens are inserts that fit inside existing vent termination hubs and couplings. If you would like help in determining what size your boiler, furnace or hot water heater vents are, please visit our page about measuring PVC vent dimensions. In addition to video, photographs are available that illustrate the necessary dimensions to obtain for proper vent screen sizing.